The iconic "Red Shark" Chevy Caprice, mentioned in "Fear and Loathing in Las Vegas,” will be on display to the public for the first time. 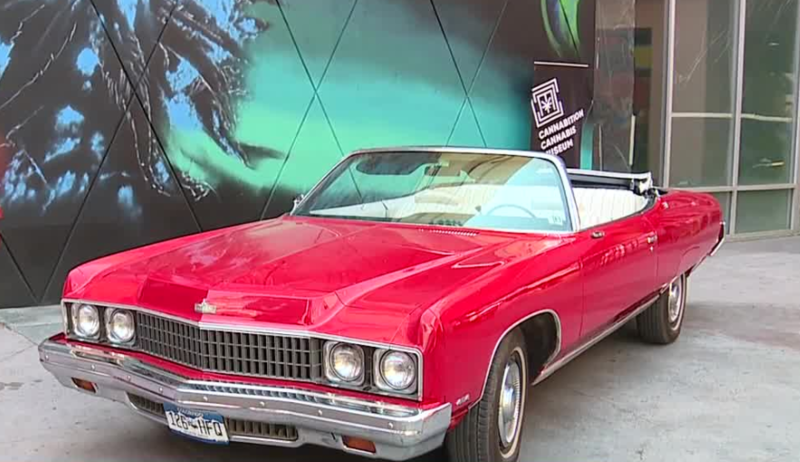 The 1973 convertible is at Cannabition, the new cannabis museum inside Neonopolis , for the next six months. The Caprice was intended to be “Fear and Loathing in Las Vegas” author Hunter S. Thompson’s own personal version of the Red Shark in his book. "This car is not only synonymous with Las Vegas but with really the culture and history of cannabis," said JJ Walker, founder/CEO of Cannabition. The Red Shark, along with other Thompson artifacts like manuscripts and old pipes, will be one of the 12 installations. Cannabition officially opens Sept. 20.